Lingnan has achieved Triple Crown accreditations from AACSB, EQUIS, and AMBA, which is an exclusive quality indicator reflecting the quality of our program. We're proud to be part of the top 1% of all business schools globally. China has become the second largest economy in the world and Guangzhou is the largest and most flourishing industrial and foreign trade center in south China with pleasant weather and good air quality. Aiming to provide the most up-to-date business perspectives and knowledge, Lingnan offers full-time international MBA students with the opportunity to get a dual degree from the partner universities. To further broaden the global business vision of international MBA students, Lingnan will select up to 4 international MBA students as MIT Visiting Fellows to study at MIT Sloan for one semester every year, which is one of the most strategic move for Lingnan international MBA program. Lingnan has established exchange programs with 40 partner schools around the world. Students could apply for semester-based exchange to broaden their global visions and enrich their MBA experience. In addition to international exchange opportunities, Lingnan offers overseas study tour for MBA students to further broaden their global business perspective. Every summer since the year of 2012 Lingnan (University) College has organized international study tours in the U.S.A. and Europe. The study tours include lectures, company visits, and student events. Lingnan international MBA program integrates Action Learning in the core of its curriculum. International MBA students are assigned to specific projects that emphasize the application of traditional classroom learning into real-life settings while addressing critical business issues faced by corporate clients. Lingnan (University) College and Lingnan MBA Center provide various lectures and forums, opening windows for the students to understand the rapidly changing business world and to communicate with the industry elites and senior executives. Lingnan has established an extensive and stable network with leading domestic and international enterprises. 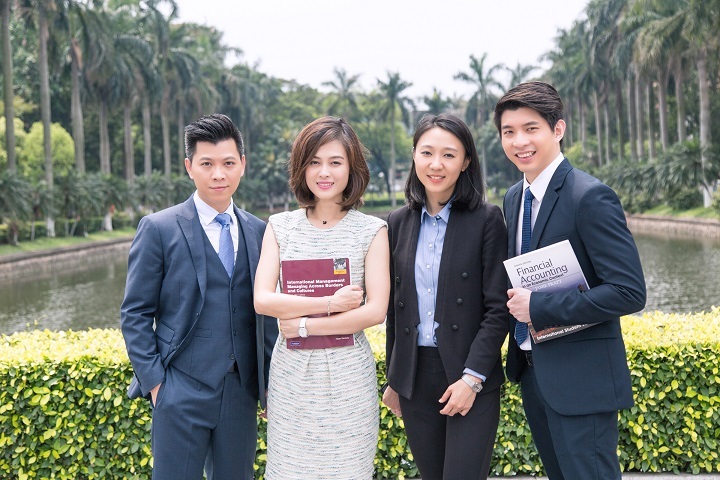 Many of Lingnan corporate partners, including Deloitte, Bayer, Pepsi, GlaxoSmithKline, Cisco, Olympus and Toyota, provide scholarships for MBA freshmen. To apply for entry at the fall semester, applications should be submitted before May 5 each year.